Hike around the Schoodic Peninsula for wonderful sightings of sea birds, views of lighthouses, and some great outdoor exercise along Maine’s coast. There are four trails that take you around the 2,366 acres of the peninsula, through forest and woodland near Winter Harbor, Maine. This level easy trail takes you along a grassy path, with lovely cedars, ash trees and birches. You’ll see lots of butterflies as you walk this 1.2-mile trail. 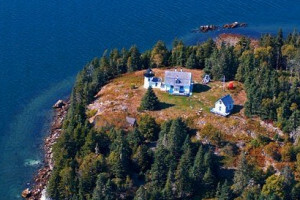 Trailhead: From Bar Harbor, take US Highway 1 east to Maine Highway 186 south to Winter Harbor. Follow the signs for Schoodic Point. Enter Acadia National Park from Maine Highway 186 and continue on the one-way road until you see the sign for Alder Trail turnout, just before you get to the Blueberry Hill parking lot. Make sure you get all the way to the top of Schoodic Head for some expansive views. This moderate hike is steep but fairly short and definitely scenic. Trailhead: From Bar Harbor, take US Highway 1 east to Maine Highway 186 south to Winter Harbor. Follow the signs for Schoodic Point. As you travel the one-way road, watch for the turnoff to Schoodic Head. When the road forks, bear right to reach the Schoodic Head Trailhead and hike to Schoodic Head. This is the longest hike on the peninsula, through the forests of ash, spruce and birch. From the top of the Anvil you’ll find some wonderful views, so don’t forget to bring your camera. 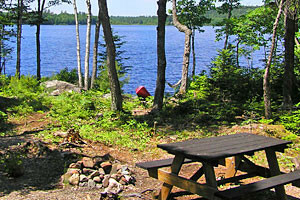 Trailhead: From Bar Harbor, take US Highway 1 east to Maine Highway 186 south to Winter Harbor. Follow the signs for Schoodic Point. As you travel the one-way road, continue past the Blueberry Hill parking lot and you’ll come to the Anvil Trail trailhead on your left. This trail goes up the eastern side of Schoodic Head. You’ll walk through peaceful pine woodlands. In the spring, enjoy the wildflowers blooming all along this scenic path. 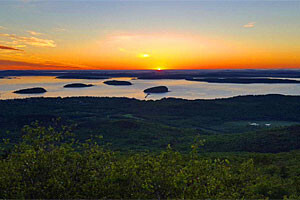 Trailhead: From Bar Harbor, take US Highway 1 east to Maine Highway 186 south to Winter Harbor. Follow the signs for Schoodic Point. As you travel the one-way road, watch for the turnoff for the East Trail on the left, a bit over a mile from the Blueberry Hill parking area.